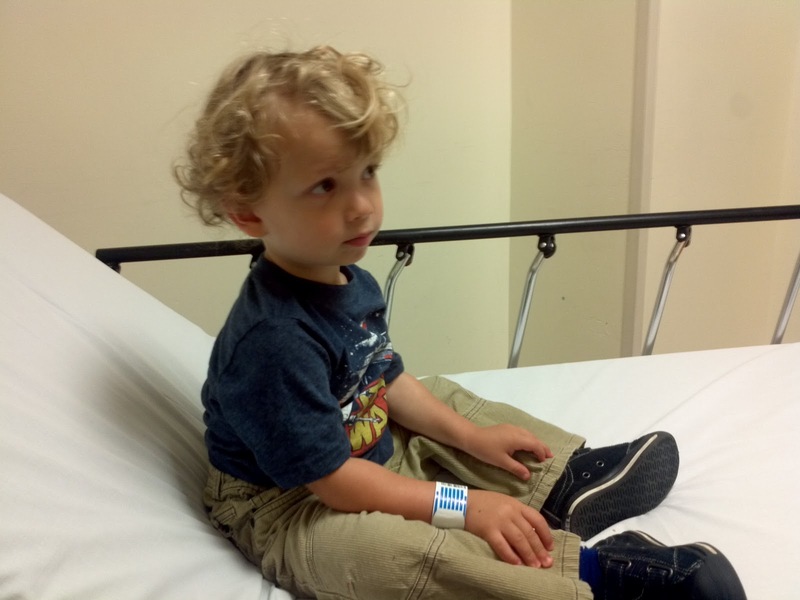 Well, it was an exciting weekend here...filled with play dates, birthday parties, Dad's return from his trip to Vegas and....a visit to the ER. Long story short...when I left the boys to attend the Etsy L.A. event on Sunday (more on this later in the week) I was greeted shortly after my departure with a very calm message from my husband that began with, "Everything's fine" (read: everything is SO not fine)Big brother tackled little brother in a rousing game of hide and seek (I don't remember that game turning violent when I played...) and 4 staples to the head later, Doodlebop was fine. Here's a shot from the ER gurney. 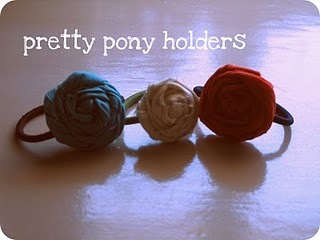 Another reason why I craft...to combat anxiety! It's such a wonderful distraction to have something concrete to complete (the exact opposite of parenting). I love Laura's blog I am along for the ride because she always has really has interesting projects she's working on! 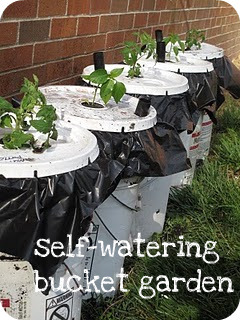 My inner green thumb loves this Self Watering Bucket Garden! 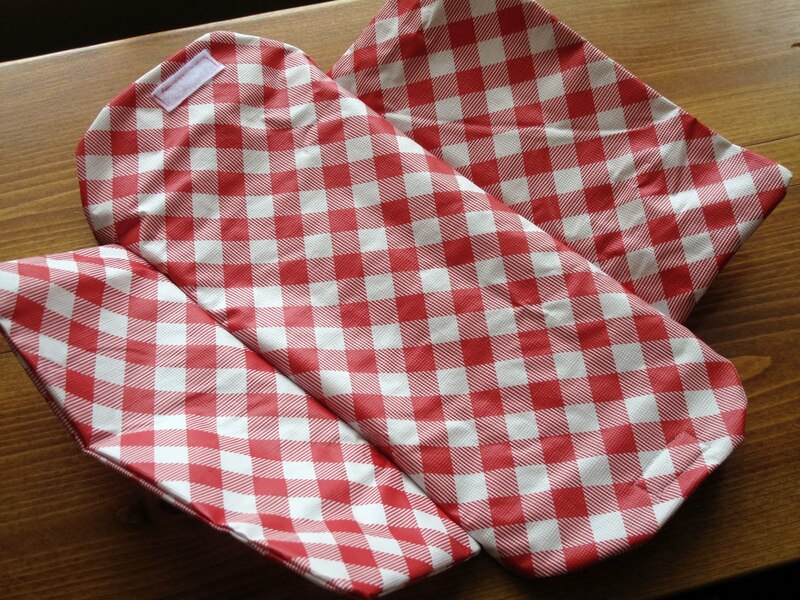 Perfect for the urban gardener! 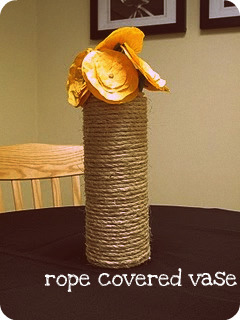 And I love the simplicity of this Rope Vase! 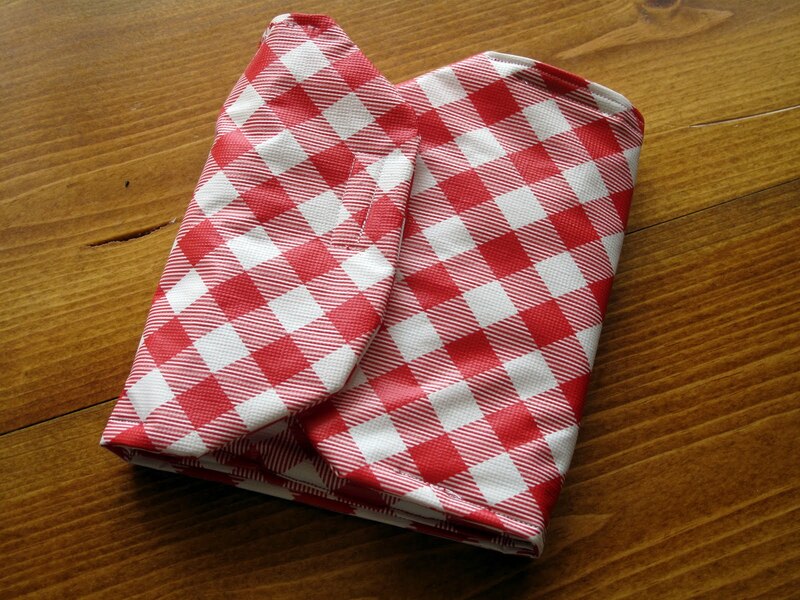 I could see wrapping the rope around a carafe and matching water glasses. I definitely need to make a batch of these. Will somebody please tell me where all the rubber bands run off to?? Are they out canoodling with the socks? 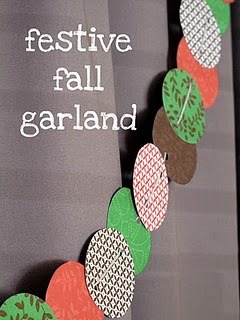 I love the look of this Garland - a nice way to add a festive touch to a dinner party or brunch. 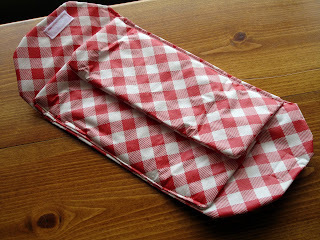 So Laura is going to share a very useful tutorial round up with us! I have been wanting to try these for a while...and now that I have, I can't stop making them! 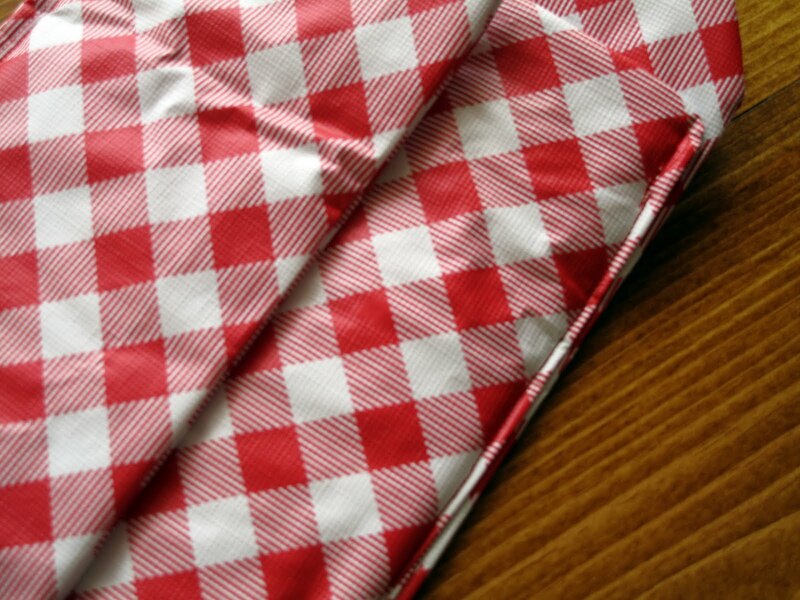 Meet the reusable sandwich bag. There are lots of tutorials out there on how to make these awesome "green" bags. I originally found the tutorial here via here.